L´Antic Colonial, the firm from the PORCELANOSA Grupo has presented its latest designs in wall tiles and floor tiles at the Cersaie Exhibition Fair in Bologna, Italy. The metallic or copper-coloured tones and natural wood are some of the trends for this season. 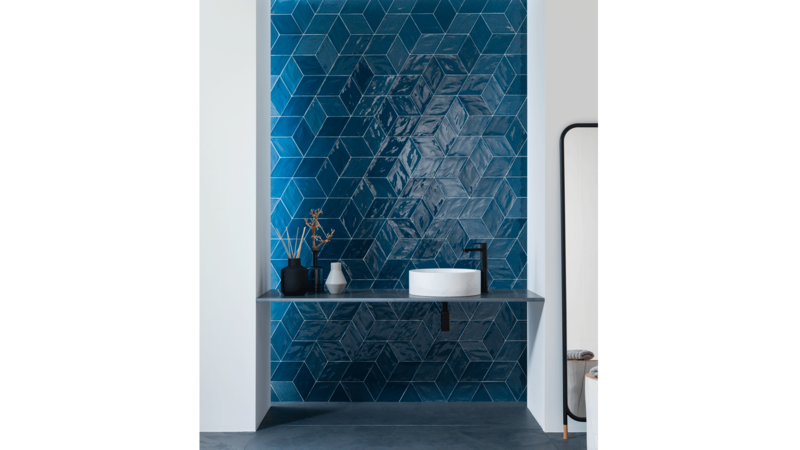 The Titanium tone has opened up a world of possibilities for the Gravity collection from Metal Mosaics by L´Antic Colonial. These mosaics which were previously with the Metal, Gold and Rose Gold tones, are also now available in a Titanium colour and a mix of Titanium and Metal. As the main innovation, the Gravity Aluminium Braid Metal Titanium in a size of 35.9cmx23.3cmx0.4cm has a new braided design with a combination of Titanium and Metal colours. 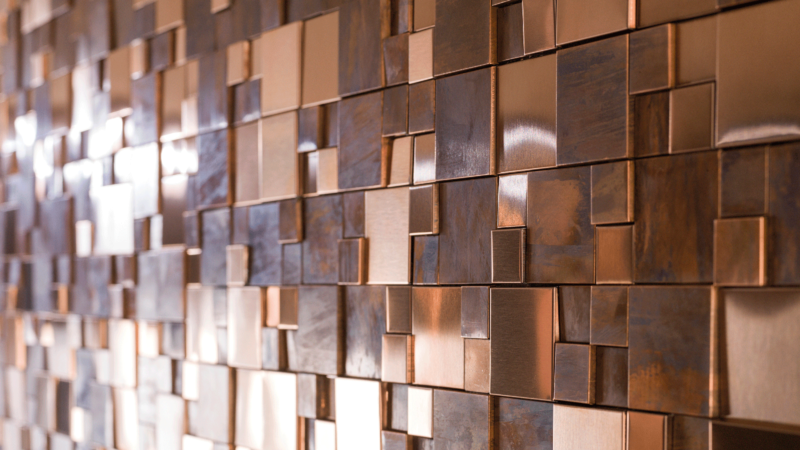 The Metal Mosaics series by L´Antic Colonial extends its possibilities by adding two tones to its colour range. Copper and anthracite will lead the way in the Metal Bronce Mini 3D Cubes and Metal Acero Anthracite Mini 3D Cubes finishes. Their arrangement in different planes creates a 3D effect in a small format which combines lighting, which in turn is reflected dynamically on the uneven surface. The Rhombus collection is characterised by its geometrical shapes and its piece shade variation. The finish irregularity breaks with the traditional touch in the Cream, Light Green, Navy and White finishes. Compositions with rhombuses which simulate the shape of the water depending on the light projected on them. The royal collection was presented as a novelty at Cersaie 2018. 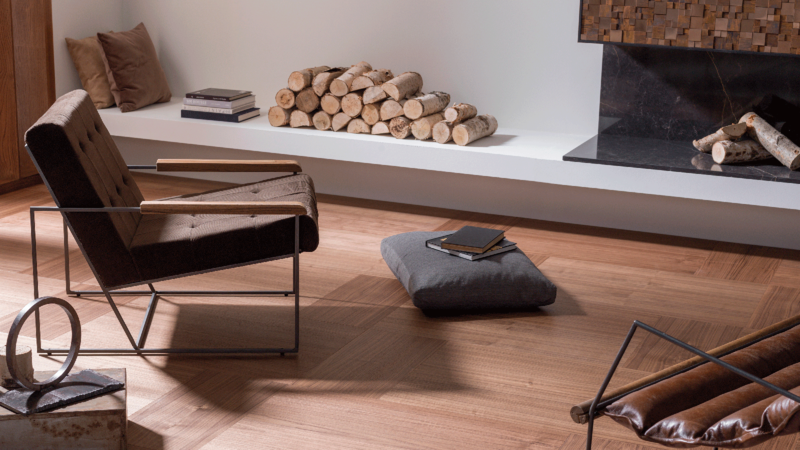 This natural wood by L’Antic Colonial is available in six different colours: Ash, Light, Camel, Bronze, Coffee and Dark; and five different formats. Two of them are rectangular in 87cmx29cmx0.98cm and 58cmx29cmx0.98cm sizes, and another two are in a chevron style, in 87cmx14.5cmx0.98cm and 41cmx14.5cmx0.98cm sizes. Royal offers a huge number of possibilities for the user, since it can be installed in several varied ways and it allows for different combinations between formats and colours. Dark brown, cream and white are the outstanding tones from Stellar, the new collection from the firm. The three possibilities of this mosaic: Stellar Silk, Silver and Carrara adapt to the colour depending on its disposition. Made up of natural square stone tiles and small metallic interstitial extracts, they create harmonious contrasts. Whereas the Silk and Silver models offer a strong shade variation in the travertine, the Carrara finish stands out because of the marble greyish veining. Essence by L´Antic Colonial.